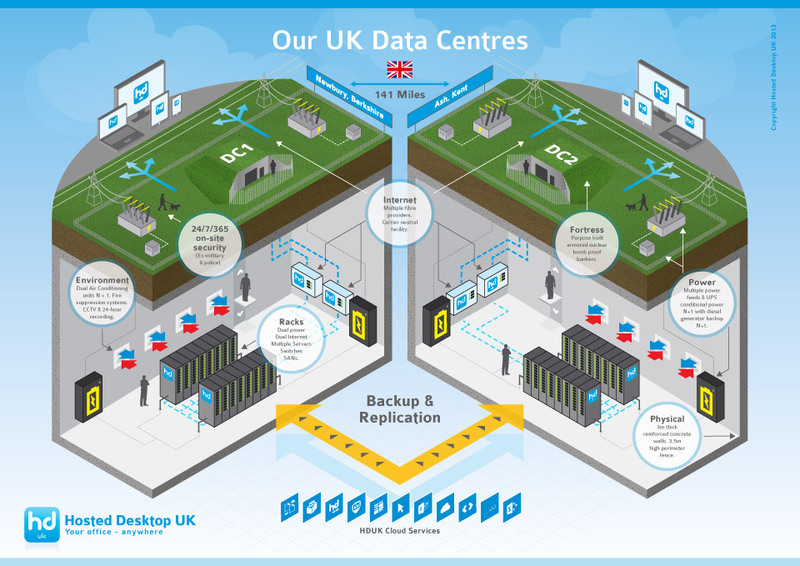 Hosted Desktop UK systems are housed in 2 of the most secure places in the world. Our UK Data Centres are based in state of the art ex MOD nuclear bomb proof bunkers, in Newbury (Berkshire) and Ash (Kent), which were designed to protect command and control systems in the event of an attack. Both Data Centres are ISO27001 and PCI DSS compliant.